Glass-filled polypropylene with UV inhibitors make this vessel extremely durable and compatible with a broad range of chemicals. Quick-and-easy lid requires no tools for opening and closing. 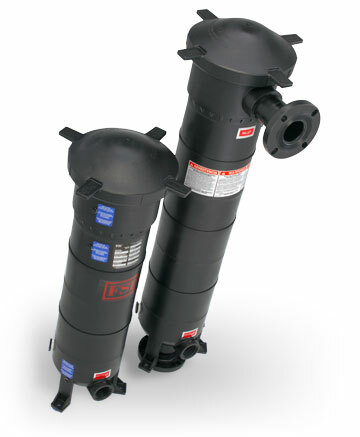 Highly corrosion and rust resistant. Modular filter design allows for a variety of configurations (***stock item 2”NPT, Style 8: same side–side in, side out***). Stands upright on molded legs for easy installation. 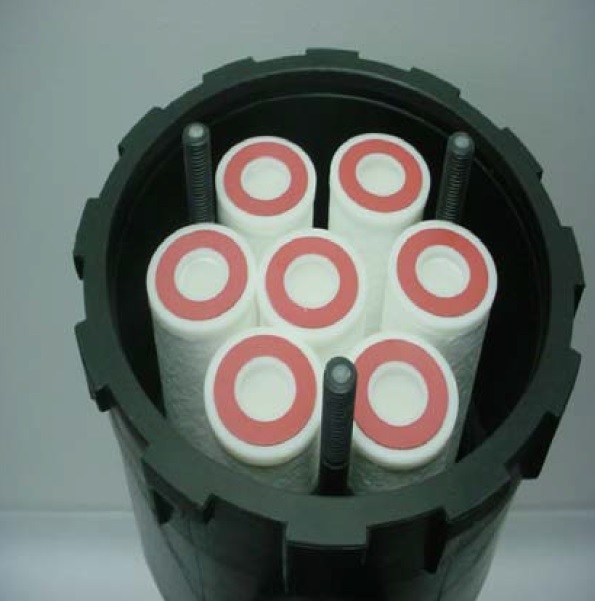 Cartridge carrier is 100% nonmetallic and holds seven 20” filter cartridges (2.5”OD) to use with Double Open End (DOE) cartridges. Multiple ¼" NPT ports for pressure gauge installation (sold separately).